Sony confirms today that a new PlayStation 3 bundle will go on sale this month—the one we told you about a few weeks ago—one including a copy of Call of Duty: Black Ops and a 160GB console. Even better? The $299.99 USD asking price also gets you a "First Strike Content Pack" and a fancy new cardboard box with Black Ops stuff printed all over it. 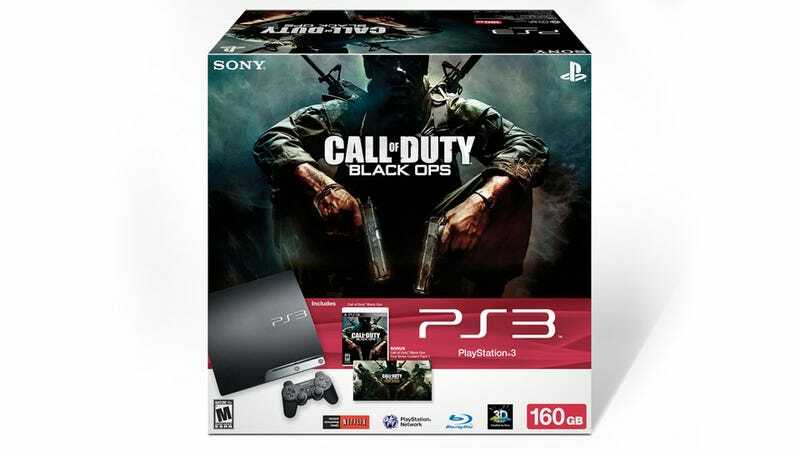 The actual release date for the "Limited Edition" PlayStation 3 Call of Duty: Black Ops bundle is officially May 31.